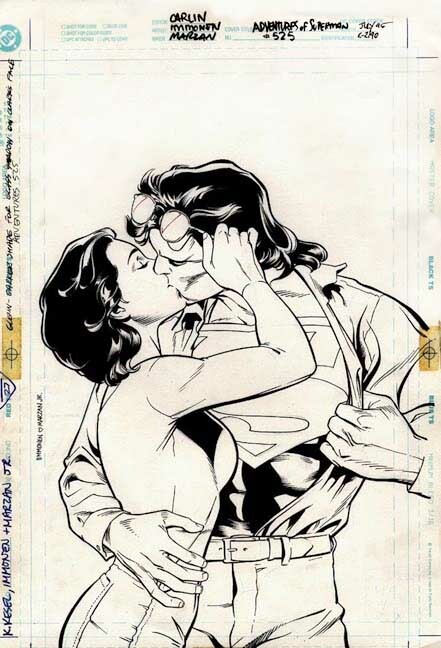 Cover to Adventures of Superman #525. Pencils by Stuart Immonen. 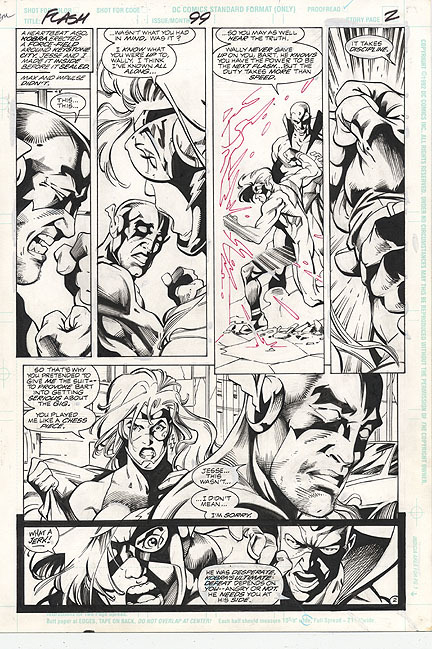 Flash #99 page 2. 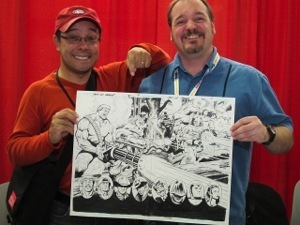 Pencilled by Carlos Pacheco and inked by me about 20 years ago… Wow. Time sure flies. Went up to the New York Comic Con a week ago, and spent lots of time on my feet walking from the main room to artist alley, and back again. Very exhausting. I did catch up with some old friends, and managed to have my friend snap a few pictures of me with some of my friends and collaborators. The Y: The Last Man team! 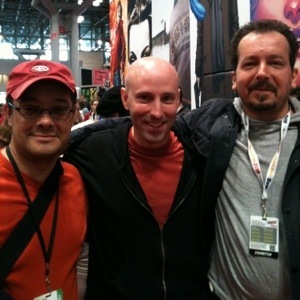 Brian K. Vaughan, Goran Sudzuka and myself. Jacks of Fables! The Jack of Fables team! 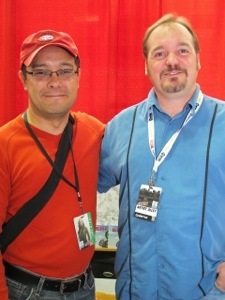 Russ Braun and myself. 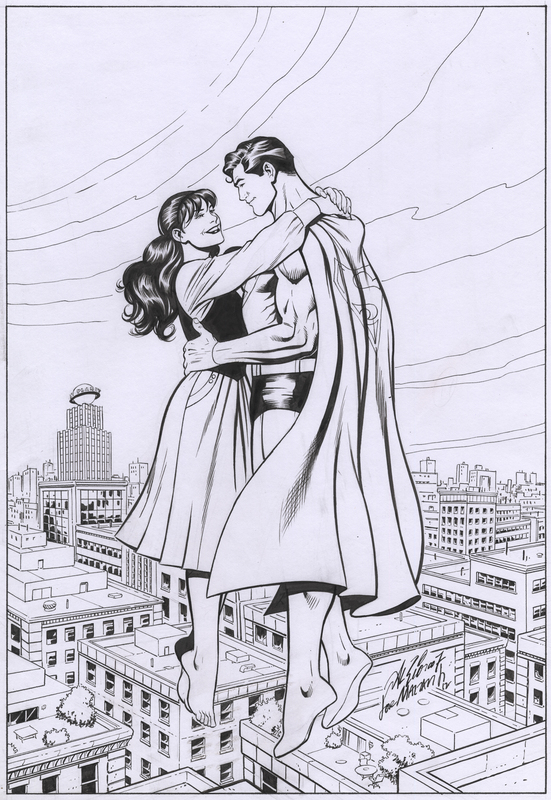 A client recently asked me to ink an Al Rio Superman and Lois Lane drawing. 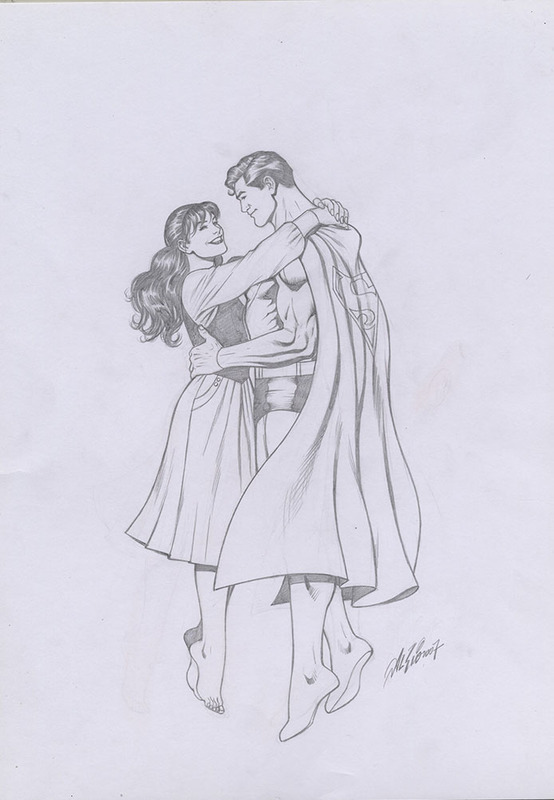 The original drawing had Superman and Lois floating with no background of any kind. The owner of the drawing wanted me to ink the drawing, and to add a background of Metropolis to it. 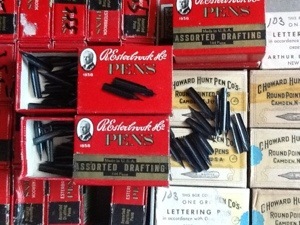 Here is the before and after. 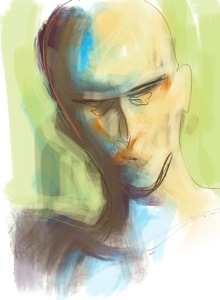 Gesture drawing done in Zen Brush for iPad. 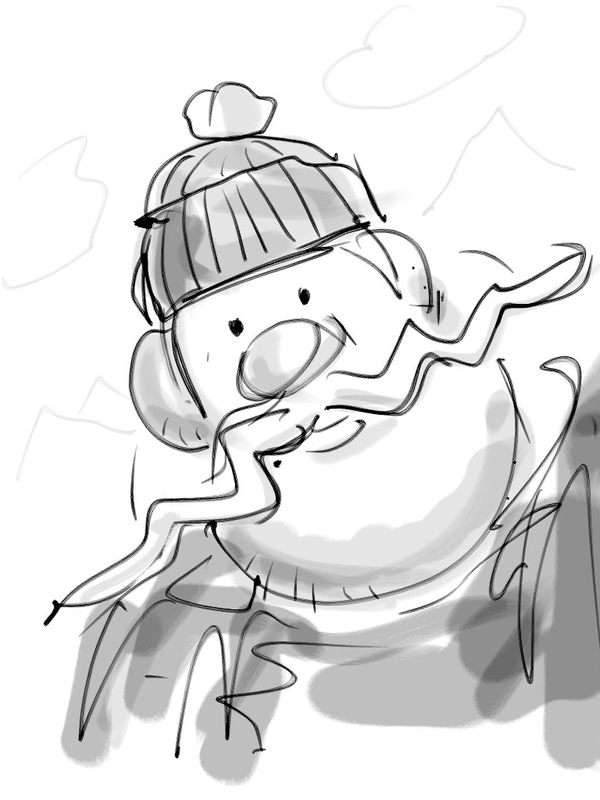 Here’s a sketch I did in Sketchbook Mobile Pro while waiting to pick up my son from school. 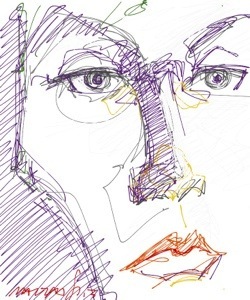 Just a searching drawing/painting. Some marks made, and we see where they take us. I like the use of tone with some line work on it. 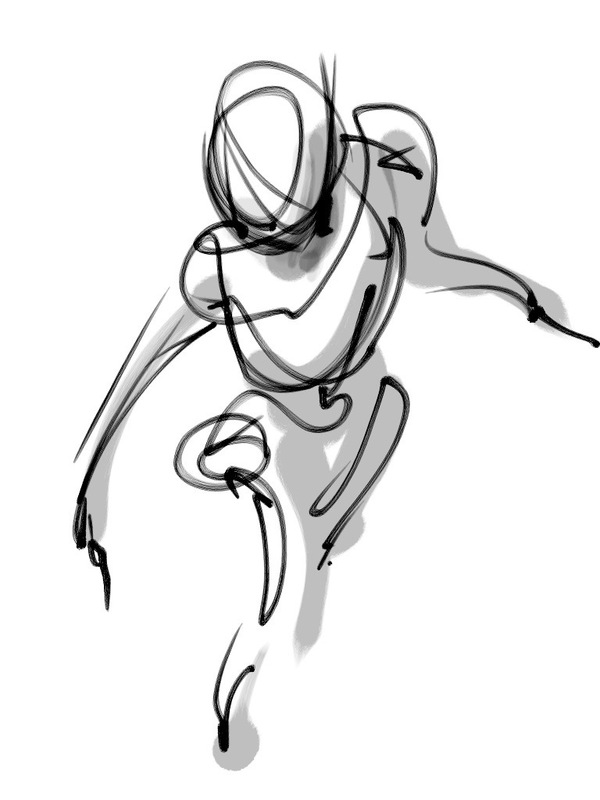 Hardest part is to get those line free flowing and as accurate as possible.